First Majestic Silver (AG) is among the first silver miners (SIL) to officially break out of its approximately 3 year downtrend. The chart of First Majestic Silver is gorgeous. A small push higher in the price of silver as per our prediction preferably together with a gold price rise in line with our prediction will send precious metals stocks much higher in 2019. Our First Majestic Silver stock forecast will be achieved in a short period of time. However, a breakout as well as its subsequent rally have several phases. It is a process. So don’t get trapped in selling because this stock would not be rising fast enough. The silver miners chart nor the silver price chart show a big breakout at this point in time. The chart of First Majestic Silver does. It looks gorgeous. After reviewing many silver stock charts we concluded that First Majestic Silver is among the few ones that show an official breakout. The chart embedded below makes the point. No, this article is not about the fundamentals of First Majestic Silver. The company did not provide any update recently as seen here. This article is about the process behind the breakout, and what a typical mega return formation looks like. First Majestic Silver Breaks Out: When To Buy, Sell, Wait? Many investors expect a straight sequence of steps in a breakout process as well as the subsequent rally. Although this may go smooth, and it sometimes does, more often it is a process in multiple steps. Investors tend to miss the train by selling too early because they don’t understand the ‘mechanics’. If we carefully look at the chart of First Majestic Silver we see that the breakout is lasting 4 full weeks now. Talking about a process. We remember vividly after the first breakout attempt at the end of February that the price retraced significantly in one week. Followers started emailing us, pretty concerned. That’s way too early to draw any conclusions. Right now, the breakout process seems to be complete. Note the ‘rule of five’ seems complete: more than 5 daily closes above the breakout point. Most likely, the start of the rally will be slow. Many investors will be doubting or even be unaware of this opportunity. Only smart investors are in. The rally will accelerate. That’s when many investors will get in. Soon after, the first retracement will start. Several investors will get concerned, several will sell out of fear. Very likely, there will be a second and very aggressive run higher. That’s when all financial and social media will be talking about First Majestic Silver and other silver miners. The vast majority of investors will start taking positions in this phase, and the smart investors that will have serious gains will start offloading to them. Soon after, there will be a major peak. 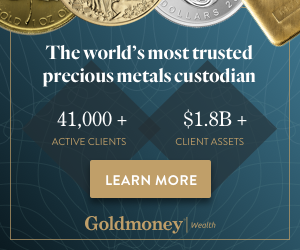 Momentum will be high, everyone will be convinced that ‘this is the time to buy silver miners’ … only to find out that prices start crashing after the vast majority of investors got in. This is a ‘normal’ process. Investors better are aware of it. Taking positions early on, not selling too fast, and adding after a confirmed breakout (selling if the breakout fails), is what smart investors tend to do. It is the recipe for great returns on the long term.